In the 16th century, Italy produced Michelangelo and the Sistine Chapel, but now many of the world’s art museums are filled with trash. Not any old trash, mind you. 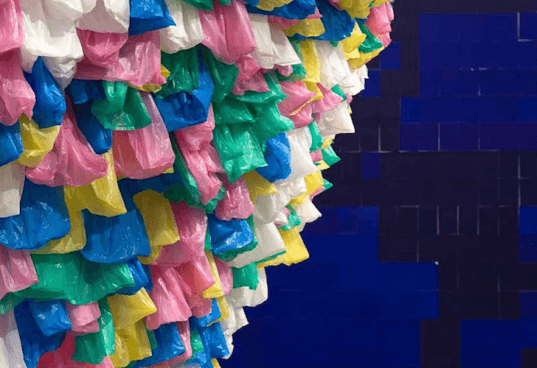 Pascale Marthine Tayou’s latest installation at MACRO – the Museum of Contemporary Art of Rome – is made of nothing but plastic bags and stands nearly 10 meters tall! Very interested in modern nomadism, the Cameroon artist is fond of using every day objects to highlight the behavior of present day society. Plastic Bags on display at the museum in northeast Rome through April 1, 2013 is part of a larger exhibit entitled Secret Garden, and offers a colorful critique of capitalism, consumerism and widespread plastic pollution. This bold plastic sculpture shaped like a giant beehive is creating quite the buzz, so stop on by if you can. In the 16th century, Italy produced Michelangelo and the Sistine Chapel, but now many of the world's art museums are filled with trash. Not any old trash, mind you. 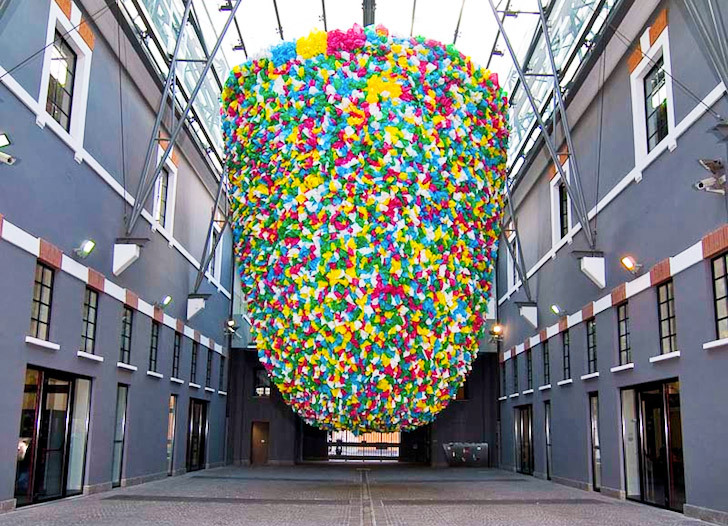 Pascale Marthine Tayou's latest installation at MACRO - the Museum of Contemporary Art of Rome - is made of nothing but plastic bags and stands nearly 10 meters tall!